need to succeed – and see how craft chocolate compares to other industries. Speciality Coffee and Craft Beers are an obvious, direct upgrade. Craft Chocolate is an obvious upgrade for those already enjoying chocolate e.g., in the evening with a partner as a treat, or for millennials, etc. Should be doable … but no standards (yet!) – no green cap, no Q graders, no “minimal” interest! Not enough craft chocolate “barista” DJs or “sommeliers” … but invariably, tonnes of interest! The common first appeal here is taste. But it’s not the only one. For example, for speciality coffee aficionados taste is clearly super important. And in most UK speciality coffee stores over 75% of most of the coffees sold are milk based. Tasting those speciality beans through this milk is hard — even when you are using milk from Estate Dairy (an amazing dairy whose milks have super high fat content that makes great lattes etc.). Above and beyond taste, speciality coffee focuses on how it’s “better” for coffee farmers, it expresses great concern about the impact of global warming on coffee futures, etc. The stress on ingredients and direct trade also often lends to the argument that craft foods and drinks are healthier as they are less processed, have higher quality ingredients, less additives, etc. For example, natural wine pushes its credentials of “minimal” intervention as being healthier and better for farmers and the farm. Bread makers are also keen to stress how their grains, seeds and crafting create not just more delicious sourdoughs and breads but are also better for you and the planet. Craft Chocolate clearly tastes better, is better for your and better for farmers and the planet. At all our tastings we’re always delighted by guests’ reactions to the myriad flavours, tastes and sensations craft chocolate offers – and customers are also delighted that these bars satiate appetites with less (so they are arguably healthier as you’ll eat less) – and by craft chocolate’s focus on direct trade and its benefits for the farmers and planet. If you want to be “cool”, you now order a craft beer when you head to the pub after work (and this now extends beyond Old Street, Shoreditch, Brooklyn and San Francisco). Mass produced beers just don’t cut it if you want to be “cool”. Similarly if you are having a meeting in Old Street during the morning you are spoilt for choice with achingly trendy staff. Serving cheese from La Fromagerie or Neal’s Yard etc. is a great way of ending any dinner party and reaffirming your “foodie” credentials. And you obviously want a lovely sourdough from E5 Bakery, Little Bread Pedlar, etc. to go with these cheeses. Ordering a craft gin based cocktail (and in Old Street an English Whiskey (yes really)) shows you are ahead of the curve. All of these are easy, and cool, “upgrades” to existing habits. Craft Chocolate can also be an easy upgrade. For those already having a couple of squares of chocolate at the end of an evening, trading up to a craft chocolate bar is a relatively easy sale. For the most part, chocolate is either consumed in confectionery, cakes, biscuits etc. and/or as a “reward” or “reenergiser” earlier in the day. And even though a craft chocolate bar isn’t (YET) seen as an obvious alternative to a mid afternoon snack of a biscuit or mass produced chocolate bar (the “reward” or “pick me up”), craft chocolates can, and are, eaten at all times of the day. It may be difficult to “upgrade” an older generation who’ve become habituated to sweet confectionery. But it’s really easy to enthuse and delight millennials, generation X, Y, Z etc. with the taste and ethical credentials of craft chocolate. Craft chocolate can also be used to create new habits – a small square complementing a morning coffee, sharing some bars at the end of a meal in addition/ instead of a cheese board, etc. Craft chocolate is a fantastic as a shared experience, comparing and contrasting different bars, makers and beans at one sitting. You can sort of do this with wine if you go to a wine tasting, but most of us only open 1 bottle at a time. Similarly, it’s not that common to drink 3+ espressos. By contrast, it’s easy to try 3-4 different craft chocolates in one sitting (although you may not always finish all the bar …). This sort of “savouring and celebrating” should work especially well in geographies where there is less of a tradition of chocolate and e.g., desserts. If you walk into a store selling natural wines by the bottle to take home and/or glass to drink there and then, more often than not, you will be regaled with the merits of their wines. Similarly a bartender will proffer stories about their craft gins (and hats off to Maxwell at Colonna Coffee who has crafted a special line of speciality coffee capsules for bartenders to use and showcase for their cocktails). Whisky bars are popping up with eyeboggling selections of whiskies (for example BlackRock for the 800 plus whiskies all of which Thom has tasted and can tell you about), etc. Speciality coffee is really clear that a great cup of coffee needs i) great farmer to grow great beans, ii) great roasters to roast the coffee and iii) great baristas to make your speciality coffee. And baristas know that a key part of their job is the theatre of what they do (latte art, pour over stirring, etc.) and communicating how “special” their coffee really is. Going to Neal’s Yard or La Fromagerie is like having your own personal shopper or cheese DJ who will insist you to taste a range of artisanal cheeses so they can find a selection that work perfectly for you/your needs. And the Napa wine industry has explained to a generation of Californian Wine makers why their wines are different to mass produced wines – and built a tourist industry second only to Disney in terms of consumer spend. One point to stress – this is not about forced education. This is education by doing, seeing, smelling, tasting and experiencing. It’s often a process of osmosis. It’s the chats with your friendly wine maker; it’s seeing the barista grind the beans and pour the filter coffee; it’s admiring the way a bartender carefully mixes your drink and tells you about the “ingredients” (aka spirits) they are combining; it’s the stories about the cows and sheep who provide your cheeses. It’s about the trendy publications (online and offline) like Courier who advise on what’s hot – and why. It’s all about the flow — and more like e.g., learning to dance on the dance floor with a great partner who knows their moves. It’s not about forced learning; that isn’t cool. No one wants to feel they are going back to school and learning biology or latin. Most people’s first experience of speciality coffee is a speciality coffee store. And then, over time, people build the confidence and comfort to purchase speciality coffee at home (Maxwell Colonna has a great phrase here “B2B2C” which he has used to great effect with both his Bath coffee store and his capsules). Wine in the UK was first sold in pubs and restaurants – and then the “off trade” emerged with the likes of Oddbins; and now more and more wine bars are combining “on” and “off” premises purchase (cf 10 cases in London, Cambridge Wine Merchants, etc.). Neal’s Yard really took off when it started to sell its cheeses as part of cheese boards served in restaurants. These out of home experiences also help with the “explanation” (see above) as well as providing a place to purchase craft products. Having an approachable expert on site should take the “hit and miss” out of your first experience of a new craft food and drink. It reduces the ‘risk’ and increases the chance of you finding the perfect iteration of this craft expression for you. For the most part, Craft Chocolate hasn’t yet been easily able to showcase the farming and crafting that underpins farmers’ and makers’ work. The “flow” is really hard to communicate via a label on a supermarket shelf. However there are a number of operations that show what can be done. Zotter does an amazing job in its Austrian Factory to enthuse, educate and sell. Dandelion’s stores in Japan, Pump Streets Orford café, Mirzam’s factory/café in Dubai and Omnom’s factory in Iceland also do great jobs of showing why their craft chocolate is different by letting you look ‘behind the scenes’ to understand the crafting involved. You literally can “smell the cacao”. There are a few great craft chocolate stores in Europe and the US, and thanks to all our Craft Chocolate DJs in speciality coffee and wine who are selling craft chocolate here in the UK. Going forward we need to be more here so that consumers look beyond the surface packaging (and at least read the label, check the source of beans and location of maker). It’s also worth thinking about how this has worked in other regions. For example, “dessert bars” have been phenomenally successful as a means of growing the tradition of cakes and desserts in Singapore, Hong Kong and all of SE Asia. Similarly speciality coffee bars are converting China to coffee drinking with over 400 (TBC) shops opening in Shanghai in the last year. As anyone who has to buy gifts for a fan of coffee, wine, whisky, cheese etc. knows, there is a LOT of great kit to purchase when you want to make the leap to enjoying craft food and drink at home. Coffee starts with scales, V60 filters, special kettles, grinders (the latest here is a burr, as opposed to a blade grinder – cf Wilfa), and now water (Maxwell). And if that is too much there are even some “simplified” bits of kit to create great coffee at home – for example the Aeropress or fine flavour capsules that have the finest coffee. Wine has decanters and glasses (just listen to wine aficionados was lyrical over their Riedels or Zsalto), Coravins (to enable you to have one or two glasses from a class wine), fridges, circular cellars and a host of apps to photo and store your favourites. Even cheese has special boards and all sorts of knives, brushes and other kit. There are also rituals around each of these craft products which help both physically and psychologically improve the experience. Taking your cheese out an hour before you eat it. Decanting and swilling your wine in its glass to admire colour, aroma and “legs” (yes, really). And then there is the vocab that you can study in courses from the WSET and all the flavour wheels created by UC Davies, the SCA for coffee etc. Craft Chocolate, possibly because it’s still developing daily habits and occasions, hasn’t yet developed a super wide range of kits, courses and rituals. Martin Christy has the beginnings of a WSET-like training for chocolate. We’ve a couple of restaurants doing craft chocolate tasting boards (thank you 67 Pall Mall and Andrew Edmunds). We know that our own craft chocolate tasting boards go down a treat. We’ve also some tasting pouches, copied from Pump Street’s. And there are clearly many more opportunities we can, should and will develop. For starters, “savour don’t scoff” and “melt before munching” should be common mantras. On first inspection, you can either argue “glass half full” or “glass half empty”. 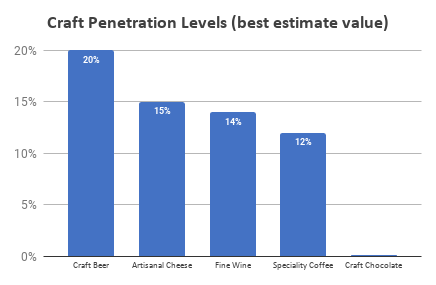 Craft Chocolate, along some dimensions, seems less developed than other craft food and drink categories in building core craft “pillars”. But we clearly see this is a “glass half full”. On the most important aspect of craft – having a better product – craft chocolate clearly wins out. Everyone who tries craft chocolate agrees it tastes far better. And everyone who hears the story grasps that it is both better for them and better for farmers and the planet. So we start from a strong position. And the first step to solving any problem is to figure out the key questions – which in this case are around rituals, habits, kit, etc. IV) Show when, how and why Craft Chocolate can be a simple upgrade. In addition, seek out new habits and rituals. Neal’s Yard proudly refers to how it re-introduced Cheese Boards to the UK with Sally Clarke in the 80’s. Len Evans used to wax lyrical how he redesigned Australian wines to be “quaffable” without food so as to work for Brit’s in the 60s and 70s when we only used to drink in pubs. Indeed before salted caramels in the 2000’s bringing chocolate to a dinner party was (at best) pretty much a super cool joke where the box of “Black Magic” were almost retro enough to be cool. Long live craft chocolate boards – and ideally some craft chocolate tasting sets (one of the great delights of craft chocolate is comparing different bars and experiencing how different beans, conches, roasts, fermentations, terroir, etc. impact the experience). 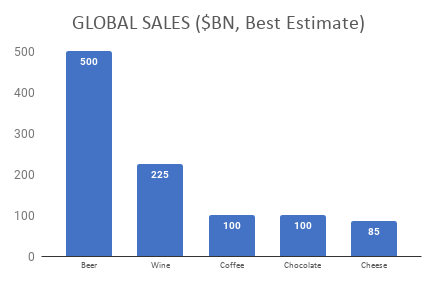 Celebrate how well craft chocolate goes with wine, whisky, coffee, etc. Delight in savouring different craft bars as special shared moments. Wishing you more craft chocolate crafted from the finest single estate beans in small batches to share and savour with friends. On Tuesday 16th May we hosted our monthly Chocolate Tasting Evening at Prufrock Coffee. This time we did something a little different. Lizzie from Cocoa Runners invited Ama of Lucocoa to share the stage with her and talk about her experiences of chocolate making. Among the guests was Terese Weiss. Terese is as keen about bean-to-bar chocolate as we are and is currently on the Teacher Training Programme at the International Institute of Chocolate and Cacao Training (IICCT). If you’ve taken one of the IICCT’s courses in the UK you might just have had the good fortune to have been taught by Terese. After attending the event, Terese was kind enough to write an account the evening, which we are delighted to share with you below. When was the last time you met the maker and personality behind a product you eat pretty much daily? Living in a big town like London, that in itself is rather uncommon, even in a time when specialty and craft are increasingly celebrated. That is what made the most recent Cocoa Runners’ ‘meet the maker’ event so enticing and intimate: to hear and taste the story with the maker – in this case Lucocoa, aka team Ama and Andy. To make an unusual start, let me tell you that as a professional interpreter, this would be my favourite kind of assignment. What’s there not to like? A relaxing yet informative evening with guided tastings of 14 quality chocolates and peppered with entertaining titbits. (Who by the way knew that the UK chocolate market is bigger that the book and music industry combined!). But why is that relevant to interpreting – and how is that the reason the Cocoa Runners’ gig is one to keep looking out for. Well, hear me out. Interpreters are often regarded as semi androids, a hidden button somewhere is switched on, A language goes in, B language comes out. Not quite so. Language is just the top of the iceberg. We look below and listen for meaning, intention and delivery – how well they align… or not. I have interpreted many good and not so good presentations, so I can tell you: Cocoa Runners’ event was aligned, like a string of cocoa beans. They speak fluent chocolate, no interpretation needed. The evening was mainly hosted by Cocoa Runners’ staff Lizzie who did a deft job in giving sizable insight into the world of chocolate. Although we covered a lot, (beyond the tasting itself – recognising quality, ingredients, the surge of the craft bar, how it is made and personal stories about every sample and maker, the size, shape and make up of the industry as a whole – and much more), I didn’t feel overwhelmed. And that on a hot Tuesday evening after a long day’s work. It takes a skilled and knowledgeable presenter to do that – and probably some of the most visual and entertaining slides I have long seen, which kept the evening light and engaging. Who would have thought that a picture of chicken nuggets or a baby donkey could perfectly exemplify just about anything chocolate. If you don’t believe me, go see for yourself! Lizzie was seconded by Ama in a gentle duet, partly to hear Lucocoa’s story, partly to get a maker’s perspective. If you don’t know Lucocoa, they are London’s first bean-to-bar maker, having set up in 2014. She and Andy still juggle day jobs and have turned their spare room into a small chocolate factory, (doesn’t that sound like pure bliss), although plans to upscale elsewhere are on the horizon. Ama’s background as a nutritionalist and the couple’s discovery of the Amazonian ‘super food’ lucuma fruit, (looks like a cross between a tennis ball and a granny smith) gave birth to Lucocoa’s name and signature ingredients: coconut sugar and lucuma powder. There was something quite disarming in Ama’s ‘down to earth-ness’ and admittance of the teething problems she and Andy went through as new kids on the chocolate block. Like how they leaned the hard way to navigate import and export, having travelled and found the beans they wanted to buy from a local woman in Belize and thinking it would just be a small matter of shipping them back to the UK. We tried 4 of Lucocoa’s bars from Belize, the Dominican Republic and Guatemala showing us a fan of different flavours – and a delicious ‘natural blonde’ white bar. However, for Ama it seemed more important to tell the story behind the bars, about the 3 different women, (Minni, Idelsa and Yasmira), who grow the beans, how they met and their relationship. Aptly, the range is called ‘celebrating our women farmers’. The direct trade and connection is, as summarised by Lizzie, exactly ‘what we love about craft chocolate’ namely ‘that you get really close to the individual farmer’. The emerging availability of beans from these and other unique origin growers is also what is making the craft market and Cocoa Runners’ library boom these last few years – and what you get a select taste of at their events. Listening to Lizzie and Ama it mostly felt like a couple of friends were sitting me down and telling me about their jobs and area of expertise. There was no lecturing, no sleek marketing spiel, just nice people and a good atmosphere, with a pile of fine chocolate samples. Indeed, what is there not to like?! You can find out more about Lucocoa’s chocolate here. You can find out more about the ICCTT here. We believe chocolate and wine have a lot in common. As with the finest wines, in order to really get the best out of our craft bars you need to know how to taste chocolate properly. It’s not just about satisfying your sweet tooth, but uncovering the complex flavours of the cocoa beans that have been lovingly coaxed out by the artisan chocolate maker. Just as the altitude, climate and soil will affect the grapes in a fine wine, the same factors can affect the flavour of the cocoa beans in your chocolate bar. Combined, these different environmental factors are known as the ‘terroir’. The finest wines are created when the finest grapes are in the hands of a talented vitner (or wine maker). And the same is true for chocolate. When the best cocoa beans are given to a skilled maker who takes the time to hand craft every stage from bean to bar, you find yourself with a chocolate that deserves to be savoured. And in order to truly savour these fine bars you first should learn how to taste chocolate! There’s just one problem for the chocolate aficionado in training. While whole books have been written about how best to enjoy a fine wine, very little has been written about how to enjoy a bar of chocolate. Most of us reach for a chocolate bar for a mid-afternoon pick me up and end up eating it without much thought. But when a maker has taken the time to directly source their beans, and painstakingly draw out their flavours, we think the same care should be taken when eating it. Here at Cocoa Runners, we spend our lives running around the world, trying to find the very best chocolate bars. We have tasted a ever-growing number of chocolate bars. Of the thousands we’ve tasted we only choose the very best to put on our site. So after years of practice we wanted to share our top tips on how to taste chocolate. Before you read on remember, eating chocolate should always be a pleasure and never a chore. We want to help you get the most out of your fine craft chocolate, but don’t overthink it! Look at the bar. Carefully take the bar out of its packaging and take a long hard look. Is it shiny and glossy, or does it have a dusty white powder on the surface? The white powder is the fat in the bar, that has risen to its surface. This normally happens when a bar has melted and reset, and is a sign that it hasn’t been properly stored. This is particularly true of dark chocolate. While a little bloom on the surface shouldn’t affect the flavour, you might need to let it melt in your mouth for a little longer. Break off a piece. What sound does the bar make and how does it feel when you break it? Does it break with a nice clean snap, or does it crumble? As well as a wonderfully glossy finish, a well tempered bar should break with ease. A snap that is either too brittle or too soft again suggests that bar either wasn’t stored at the correct temperature or the bar wasn’t properly tempered. Tempering is the process by which chocolate is melted and then set into a chocolate bar at just the right temperature. Hold the bar for a second. Does it start to melt? Artisan chocolate bars contain cocoa butter, and this melts quickly at body temperature. Most mainstream bars start to crumble and flake into a sticky mess instead of melting smoothly. This is because of a trick used by many mainstream chocolate makers. They separate the cocoa powder from the cocoa butter and sell it off to the cosmetics industry for use in moisturisers, lipsticks, etc, then replace it with cheaper fats that don’t have the same wonderfully smooth melt. Smell the bar. Can you smell citrus, berries, nuts or something else? As we’ve said, tasting chocolate is like tasting a fine wine. When tasting wine, its standard practice to swirl you drink round in your glass before inhaling deeply. A good proportion of the flavours in any food or drink comes from their aroma. A wealth of aromas are released the moment you unwrap a craft chocolate bar. In the same way that swirling your wine helps to release the aroma, holding the piece in your hand (see above) will begin to heat the chocolate slightly, releasing it smell. Put a piece on your tongue and let it melt, taking care not to chew. As it melts, different layers of flavour will reveal themselves.A rich Dominican bar might start with a roasted, chocolate ganache note that develops to leave an earthy finish. Or the initial berry notes of a Madagascan chocolate transform into a citrus note. Enjoy. Eating chocolate should always be a pleasure. These tips on how to taste chocolate should help you get the most out of your artisan chocolate. If you can’t taste the flavours other people have described then don’t worry, as taste is subjective. And remember, the more chocolate you taste, the more your palate will develop. All told, there are over 400 distinct flavour compounds in chocolate, more than enough to keep even the keenest cocoa bean interested. Not only is taste extremely subjective, it’s influenced by everything you’ve eaten and drunk throughout the day. The same chocolate eaten by itself will taste very different when it is matched with a suitable fine wine. Now you know how to taste chocolate, take a look at how artisan chocolate is made. See our page about it here. There’s only one way we at Cocoa Runners could celebrate Bastille Day and that’s with some decadently delicious French chocolate. We’ve created a special collection just for the occasion, stuffed with some of the best craft chocolate bars from l’Hexagone. As we you dig in to these truly exceptional bars we thought we’d take a look at some of the reasons we love the French chocolate so much. You can read on to find out more, and if you want to taste as you go, you can buy our limited edition Best of France collection here. We talk a lot about the recent chocolate revolution. Over the past decade there has been a huge resurgence in craft makers as people rediscover the forgotten craft of chocolate making. France is perhaps the only place where this isn’t the case, because in France this craft was never lost. Makers such as Bonnat, Pralus and Cluizel have been crafting chocolate from the bean for longer than almost anyone else. Take Stephane Bonnat. The sixth generation chocolatier still crafts his bars in the same workshop that Felix Bonnat opened in 1884. Some of the original machinery is still in use, while others have been designed exactly as they were. Bonnat still follows traditional methods and much is done by hand. But innovation also has its place – alongside this Bonnat has also custom-designed other modern machinery to compliment the traditional. The French chocolate tradition isn’t just about history, it’s about perfection that can only come from obsession. Francois Pralus’ love of the Madagascan bean, has led to him buying a plantation there. Not only does this mean he can control every stage of the chocolate making but also how the beans are grown, fermented and dried. Pralus’ continued fascination and dedication has also led him to seek out numerous different beans from around the world and develop bars that capture the flavour of each. Always looking for new challenges he currently uses 16 different origins while Bonnat sources cacao from a staggering 35 different plantations worldwide. Each origin is treated with individual respect. Each presents a unique challenge as makers try to craft the beans into the best possible bar. As craft chocolate took hold, the number of makers in the USA the number of makers has grown exponentially. In France, where respect for tradition and continuity are so important, we haven’t seen the same frenzy of newcomers. But we there are still some new players. Two of our recent discoveries are Chocolat Chapon and Ara (Sabrina & Andres hail from Venezuela but chose to begin their chocolate enterprise in France). French chocolate makers also aren’t afraid to innovate. Patrice Chapon has created a single-origin mousse bar. Instead of choosing a different flavour of ice cream to devour on a hot day, you can choose a chocolate mousse made with beans from various origins. Patrice even has his own mousse bar that can be seen driving around Paris. And when it comes to true chocolate innovators, look no further than Bertil Akesson. The son of a Swedish diplomat, Akesson grew up in France (which is where he now makes his chocolate). Bertil was a key part of the new chocolate revolution. He was one of the first people to start selling high quality, Madagascan cocoa beans to small makers around the world (including others in France such as Bonnat and Ara). France’s chocolate tradition is an inspiration for many other makers. Whether they are buying beans from Bertil Akesson or remembering the taste of Bonnat from their childhood. One of the key concepts for craft chocolate is ‘terroir’, a term borrowed from the French wine industry. A fundamental element to the cacao’s taste, terroir refers to the environmental conditions where the cacao is grown. Marou is one maker who has taken this to heart and exported across the world to Vietnam. Samuel Maruta and Vincent Mourou, the company’s French founders, craft all their bars in Vietnam and source the beans for each from a different Vietnamese province or terroir. Last but by no means least, one thing we truly love about French craft chocolate. Just like their ‘patisserie pur beurre’, French craft chocolate is often butter-rich. Here the butter in question is cocoa butter. This is the natural fat present in the cocoa bean and is what makes real chocolate melt so delicious in the mouth. Adding additional cocoa butter to your bar creates rich, dense and ever so smooth texture we have come to love from many French makers. And if you want to taste for yourself, why not try our limited edition Best of France collection? Recently we’ve seen a number of great bars using beans from Tanzania. In the last couple of months alone, both Omnom and Damson have released two new bars made with beans from the African nation. Both makers are using beans sourced from Kokoa Kamili. 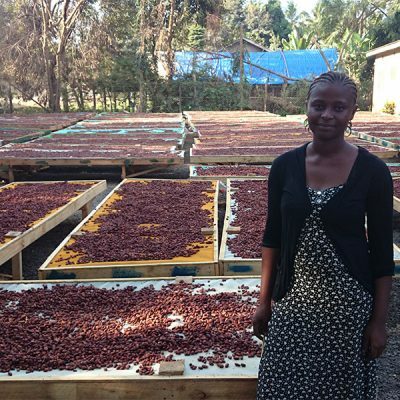 Based in the Kilombero Valley of Tanzania, Kokoa Kamili are dedicated to helping local farmers and craft chocolate makers worldwide get the best from Tanzanian beans. It buys wet beans directly from farmers and then dries and ferments them at its own specially built facility in the valley. Once fermented it supplies these to makers who will coax the full flavour from the beans and transform them into chocolate that showcases the quality of Tanzanian cacao. We spoke to Simran, co-founder of Kokoa Kamili, to find out more about the company. What’s your background? How did you get into cacao (and end up in Tanzania)? Both Brian and myself had been working in international development. I was initially working in Lesotho in southern Africa. Brian started out as a Peace Corps Volunteer in Tanzania before he went to get his MBA, worked in management consulting and then found himself back in Tanzania. After my time in Lesotho I joined an NGO in Tanzania where I was working on researching the history of cocoa in the country and writing the Ministry of Agriculture’s Cocoa Development Strategy. Coincidentally Brian was leaving the same NGO where he had been managing a large team working with milling businesses throughout Tanzania helping them improve their processes and encouraging them to fortify their flour. Over the course of my work, I saw what I perceived to be an opportunity, we have really interesting genetics in Tanzania, a great terroir, but we were seeing really poor fermentation and drying. Farmers had no incentive to improve their operations – – the work of fermenting and drying can be a laborious and long process. Existing buyers were large commodity companies with little interest in high-quality cocoa. Concurrently the craft chocolate scene was growing rapidly, with chocolate makers looking for new, exciting origins able to produce consistent, high quality cocoa. I discussed this perceived market gap with Brian (who had previously explored doing something similar in coffee) and he agreed that it was something worth looking at. Brian ran the numbers to see if it could make sense and we began exploring the cocoa growing areas of Tanzania to pinpoint the best place for us to set up shop. Can you tell us a little more about the cocoa landscape of Tanzania? Cocoa was first introduced to Tanzania in the 1880s while Tanganyika (as it was then known) was under German rule. It was initially grown as a plantation crop in the north of the country although few records remain. 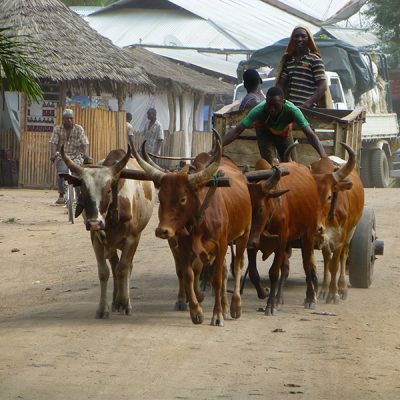 There have likely been several reintroductions of the crop to Tanzania over the past hundred years, with the main growing area (Kyela – in the south of the country) being established in the 1960s. We estimate that between 8,000-10,000MT of cocoa are produced in Tanzania annually. There are four main buyers in the country, all large trading companies. Kokoa Kamili operates in the Kilombero Valley – a geographically distinct area compared to Kyela, with a much lower production. You mentioned you worked with a number of smallholder farmers, how did you first reach out them? And how do you managed the relationship with so many different farmers? Given our background in international development, we’ve both spent a fair bit of time in rural villages, especially given Brian’s Peace Corps experience. We would start with the village leaders, explain what we were thinking about, ask if they thought it would be feasible, would it be something the village would be interest in supporting, would it be beneficial to the village, etc. etc. When we began our research it was a lot of long conversations under mango trees getting an understanding of what would and wouldn’t work for the farmers and explaining our business model of buying ‘wet’ cocoa rather than dry. We now work with ~2,500 farmers – up from around 1,000 at the end of our first year (although 80% of our volume comes from just 23% of our farmers). Our growth in sourcing is simple. We make it more attractive to farmers to sell to us, we pay more, we collect from farmers, provide agricultural training services, we offer transparent pricing and only buy directly (as opposed to using middlemen/agents). Can you tell us a bit more about you operation? How many of you are there? Do you build all of your equipment (e.g fermentation boxes yourselves)? At our peak we have about 30 staff. All of our processing equipment we built in the village that we work in using locally available materials. However, the monitoring equipment (e.g. thermometers, moisture meters) we source internationally. Who was your first buyer and how did you find them? Our very first sale was an air freight shipment to Chocolate Naive in Lithuania – I’d met them at the London Salon du Chocolat in 2013 and we’ve been good friends since. We were excited to host them as our first visitors last year! Our first large buyer was Mast. Honestly, we met them by cold-calling them and showing up at their factory in Brooklyn. They were nice enough to take the time to meet with us and were interested in learning about what we were doing and have been a great partner to work with ever since. Our typical method of fermenting is a three tier, six day ferment. However, we’re constantly running experiments to tweak with our protocols to ensure we can get the very best out of our beans. We just put together our first five tier array and are going to be running a whole host of experiments on them in the coming season! As Fairtrade fortnight begins, we want to take a moment and talk about what Fairtrade means to us at Cocoa Runners. One of the most common questions we get asked is ‘Is your chocolate Fairtrade?’ The answer to this is not as simple as it may seem. Some of our bars are certified some are not, but all are committed to a ‘fair’ way of making chocolate and many go above and beyond the requirements of the Fairtrade. Here we want to explain what Fairtrade really means, how this works with chocolate in particular and finally take a look at some of the other initiatives pioneered by our makers. And so for Fairtrade fortnight we will pick out a selection of different bars from the Chocolate Library to talk about. Will take an in-depth look at a different maker or grower and what they do to create great chocolate in a way that benefits everyone involved. There are several different elements to the Fairtrade program. 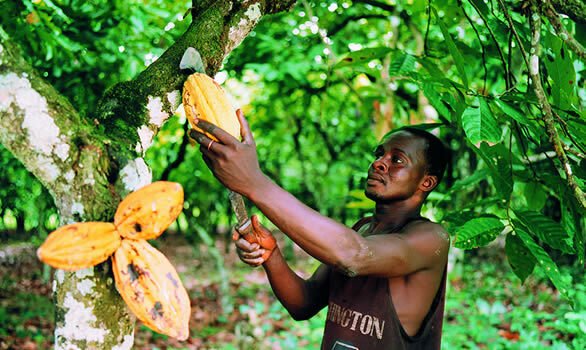 First the cocoa crop should be produced under Fairtrade’s social economic and environmental standards. Second Fairtrade sets a minimum price for the beans. This means that even with market fluctuations farmers can still guarantee a relatively stable income. At the same time if the market price is higher than the Fairtrade minimum the organisation specifies that farmers should receive this. On top of this is the Fairtrade Premium. This additional sum of money is given to a communal fund that workers and farmers can use as they see fit. They have the freedom to choose what is most important to them and what they would like to invest in – whether that is healthcare for the community, or education for their children. While Fairtrade is a non-profit organisation, certification is not free. According to the Fairtrade international certification authority (FLOCERT) it will cost a cooperative with under 50 members at least €1466 to get certified. Once registered there is also an annual fee of €1199 (for organisations of under 50 members). From the point of view of a western business this might not seem like much. But in Madagascar where according to the World Bank in 2014 GDP per capita was just $449.4, the cost is far more significant. The idea behind Fairtrade is something you can only admire. For larger scale farms and cooperatives, particularly for those growing a crops where quality needs to be consistent but not exceptional (e.g. bananas) it’s an effective way of guaranteeing a fair price and better working conditions. Fairtrade has also encouraged people to think more about how chocolate is sourced and helped make the cocoa supply chain more transparent. In provoking questions about transparency and “fair pay” for growers, it’s also raised other questions. For example, how can to help develop local economies beyond paying a minimum price for cocoa? Or, how can to develop chocolate that is better for consumers makers and growers? By using Fairtrade as a starting point, more and more people are looking at how they can help local communities grow and develop. This not just about providing a safety net and basic amenities, this is about revolutionising lives and creating real growth. And makers and growers from Saigon to San Francisco, Brooklyn to Budapest and Warsaw to Woodstock are building a “craft chocolate movement” that seeks to answer these questions. For this new wave of chocolate makers, it all starts with the bean. If you want great chocolate (or any other great food) you need to start with great ingredients. Find the best beans and you can make amazing tasting chocolate. And to secure the best beans you need to work directly, and with a thought to the future, with farmers. Only recently have small batch craft chocolate makers been able to consistently source great beans. As with wine (or coffee), the best beans come from single estates and require careful nurturing. In most parts of the cocoa growing world (a belt 20 degrees of the equator), cocoa growers have been forced to sell to government monopolies. And these government monopolies are all too often more concerned with quantity rather than quality. There is little incentive for farmers to nurture and grow interesting bean varietals. So it’s been hard to find great beans or craft great chocolate. This modern day ‘chocolate revolution’ began when a handful of pioneers made it possible for these makers to get hold of cocoa beans. People such as Bertil Akesson in Madagascar, Daniel Doherty in Hawaii, Alex Whitmore (and Daniel) in Belize and Sam and Vincent of Marou in Vietnam have made available “premier cru” quality cocoa beans for the first time. These makers practise what is now called “Direct Trade”. They go out directly to the farms to work with the makers. Daniel Doherty runs around the world as professor of fermentation in Hawaii. Brian from Pitch Dark goes every other year to Fiji to help the farmers he worked alongside whilst a student to continue to grow cocoa. Alex Whitmore takes dozens of American craft chocolate makers to Belize every year and is producing the first bar crafted from single estates in Haiti. Joseph Zotter has risked life and limb to help farmers in Colombia swap cocaine for cocoa. TCHO build local mini production lines with web cams in the jungle to work with their farmers. It’s truly awesome. And humbling. Many makers have also come out of the environmental movement. Later in the week we’ll take a closer look at Original Beans, whose founder Philipp Kaufmman was previously at the WWF and UNDP. 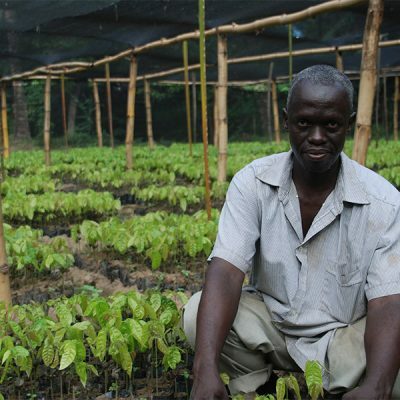 He started Original Beans because he sees cocoa as one of the best crops to encourage farmers to preserve the rain forest. Above and beyond partnering with local farmers, craft chocolate is helping develop local manufacturing and logistics. 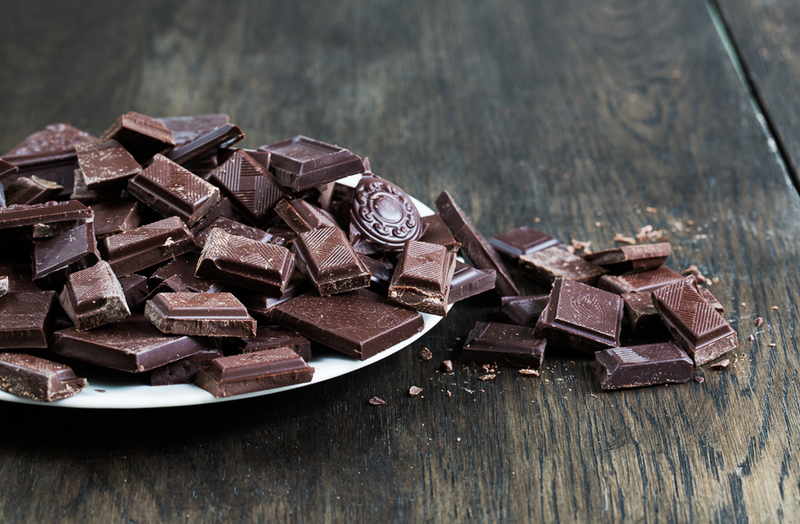 Over 70% of the world’s chocolate is grown in Africa, but hardly any is made there. Menakao and Chocolat Madagascar are two of the companies breaking this mould. Neil Kelsall of Raise Trade, pioneered the development of “award winning and highly ethical” premium packaged chocolate by Chocolat Madagascar that is made in Madagascar and uses local ingredients. Not only do Chocolat Madagascar (now also Menakao) pay local Malagasy growers over 2x the average price of cocoa for their beans, they provide training and employment in their factories. In so doing, they generate 4-5 times more benefit to the local economy than Fair Trade alone. Similar initiatives are now being pursued in Peru (Cacaosuyo, Shatell and Rainforest Organics), Ecuador (Pacari and Hoja Verde) and of course Grenada (Mott Green’s Grenada Chocolate Company and now Chantal Coady of Rococo). These relationships go far beyond any certification. Fairtrade farmers and cooperatives normally sell the cocoa beans (at the Fairtrade price) to brokers, importers and exporters who will then sell them on to someone else. These makers have a far more direct relationship with people who sell their beans. They work together, developing and sharing expertise with a common goal: to create exceptional craft chocolate for people around the world to enjoy. We love the benefits and the shift in attitudes that Fairtrade has generated. But for us the challenge is to go even further. We love single estate craft chocolate. We believe that when done properly, using simple high quality ingredients, craft chocolate doesn’t just taste amazing but is beneficial to everyone. From farmer to maker to consumer, there is a shared desire to create something extraordinary. The result of this mutual passion is chocolate that taste good, does good and is good for you! One of the most common questions we get asked is ‘Is your chocolate Fairtrade’. While this seems like a yes or no question there really is no simple answer. We stock an ever-increasing number of craft chocolate makers: some are certified Fairtrade and some aren’t. But just because they don’t have the Fairtrade certification doesn’t mean their chocolate is ‘unfair’. Take chocolate maker Menakao. Based in Madagascar, it sources all their cocoa beans from local cooperatives in the Sambirano Valley (in total around 100 farmers). The beans are then made into chocolate in the chocolate factory Menakao built locally. All 50 of its permanent employees (plus ten temporary staff members) are paid above minimum wage with highly skilled staff receiving significantly more. 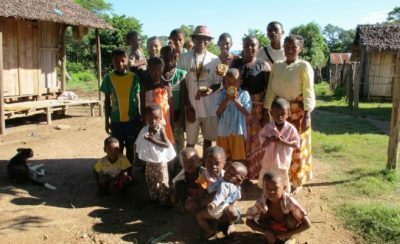 Menakao is not certified Fairtrade – it felt the cost of the certification would be better spent directly helping their staff in Madagascar by investing the money in its own operations there. By creating their chocolate locally, Menakao generates four times as much income for its employees. Of course to create great chocolate you need more than just happy workers, you need great beans. Menakao works with local Madagascan farmers and cooperatives to ensure the supply of the best quality cocoa beans. This far more direct, transparent trade relationship without middlemen and go-betweens results in a better price for farmers. Menakao pays more than the Fairtrade premium price for its cocoa beans, which benefits both parties: farmers get more for their crop and Menakao gets the best quality cocoa beans to make its chocolate with! Less than 5% of the world’s chocolate is produced in the same country where it is grown. Producing their chocolate locally, and from all Madagascan ingredients means that at every stage Menakao contributes to and supports the local economy. Another example of similarly ethical production is family-owned Chocolat Madagascar. Like Menakao, every stage of the production, ‘from tree to bar’ happens in Madagascar – and its factory provides employment (and living wages) for its 125 staff. Chocolat Madagascar was set up by Chocolaterie Robert, who have been producing chocolate in Madagascar since 1940, and also pays their farmers far above the Fairtrade minimum price. In their turn, the farmers take a huge amount of care in their work, producing cocoa beans of an exceptionally high standard. Since 2010 Chocolat Madagascar has been engaged in large scale reforestation projects in Madagascar. These provide further local employment and help to protect the unique and highly endangered Malagasy flora and fauna. The result is a business that does far more than simply paying Fairtrade prices: from people to plants, to wildlife to fine chocolate fans around the world – this sustainable business model helps everyone. Header image courtesy of Menakao chocolate.